When bewildered people ask me why I have spent a significant chunk of my December so far attending and recording Yo La Tengo shows at Maxwell’s in (currently hard-to-reach) Hoboken, I usually point them to this performance from December 7, 2010. That show had everything you look for in a YLT Hanukkah set – amazing setlist of old songs, new songs and covers; lots of extended guitar jams, and a special guest (Nels Cline) who added a whole new dimension to the band’s sound. Several of this year’s shows had that, too, including Sunday night with honorary members of the Sun Ra Arkestra and Fred Armisen, and Tuesday night with Kid Millions of Oneida. I thought that for me, Sunday would be the impossible show to top this year, but this Friday night show proved me wrong. I am not ready for it to de-throne 12/7/10 on my list of all-time favorites, but having now seen the entire 2012 run, I’m sure it is my favorite of this year. For this set, singer-songwriter Andrew Bird joined the band for the entire performance on violin. Bird gave added a graceful, somber element to some quieter numbers like “Last Days of Disco” and Dylan’s “I’ll Keep It With Mine”. Though the violin naturally lent itself to quiet songs, this night saw yet another set of monster guitar songs as well, including an absolutely scorching “Flying Lesson (Hot Chicken #1)”. But it might be the main set’s closer, the Roky Erickson arrangement of the Velvet Underground’s “Heroin” that was the ultimate highlight; even compared to the version played last year, this was an inspired rendition, and Bird’s violin squealing along gave it added intensity. I recorded this set in the same manner as our other Hanukkah recordings, again with Schoeps MK5 microphones in the cardiod setting and an excellent soundboard feed by the band’s engineer, Mark. Enjoy! All of these Hanukkah shows are for charity. Like all of this year’s Hanukkah shows, tonight’s charity, Waves for Water’s Hurrican Sandy Relief Initiative, is working hard to assist the New York City area with its recovery from the storm. As the band has pointed out every night, they take their obligation to help seriously, and so do we. We ask that if you download this show, you contribute to the charity. Although you are not required to donate in order to download this show, Yo La Tengo – and NYCTaper – would greatly appreciate it if you would. Thank you so, so much to acidjack and the nyctaper staff for offering us with these shows (as well as pelnty of others). Being a YLT afficionado, i consider almost every year the overseas trip to a winter NYC to live one of these Hannukah sets… only to realize, once more, that it’s professionnally and financially impossible. Your recordings are a sweet balm on this yealy deception. in the comments you mention that they opened with ‘Ohm’, yet it’s not in the setlist, and the opening track is everyday(which you have listed properly in the setlist). just a little confused about this. either way, recording sounds amazing per usual. thanks so much for sharing. was just looking through the setlists. looks like ‘Ohm’ opened the next night. also, loving Bird’s violin contributions to this set. fantastic stuff. Sorry, got all my YLT sets confused. You are correct, “Ohm” wasn’t played until the following night… Too many reviews to keep track of at once …. Thanks for all the amazing YLT recordings! Was night 6 recorded too? Thanks for the great job. Did you also recorded the opening acts like Real Estate, Titus Andronicus and Norman Blake ? Big Barbara Manning fan so I admit Night 6 was the *one* show I was waiting for out of all these. Yes, those three will be posted. We were not at night 6 but two of our fellow tapers were; at least one of their sources should be posted. It’ll probably be the last one that goes up, and probably some time next week. 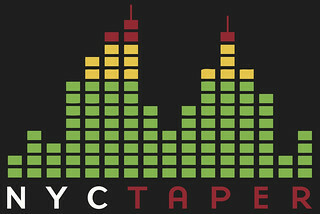 Thanks so much acidjack and nyctaper.com for all of the great YLT recordings. What an awesome Christmas present from everyone involved.